WARNING: This post is for educational and survival purposes only! Do not attempt to build a fire during high winds or where prohibited! Find a spot away from brush- high winds and a fie is a recipe for a disaster and a forest fire! Getting away from any and all brush, tree limbs, and excess forest is a must! Find a rock to block winds. If you have access to some sort of wind shield use it! Start with large rocks as your base and stack about 1-2 feet high alternating with small rocks to fill in the gaps. Use sand to cover the bottom base of the fire. If you find not enough oxygen is getting to the fire, make a gap at the bottom for air to come in (but not large enough to put out the fire). Key things to remember is to keep the total circumference of the fire is small- we are going for survival, not roasting marshmallows. Stack rocks high enough so flames do not escape. 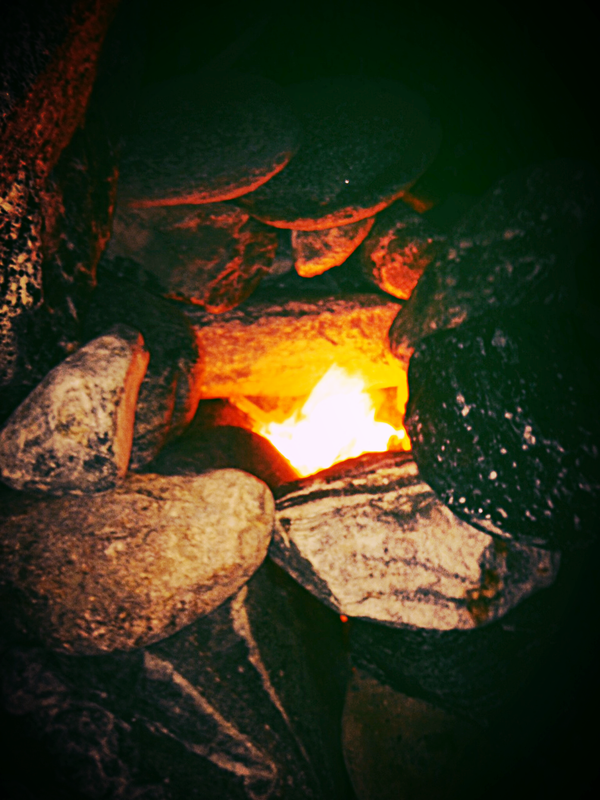 If you find the fire has too many gaps, use smaller rocks. For fire safety tips visit www.smokeybear.com. Does anyone else have safety tips for building a fire? Another suggestion and one that I do often while prepping my fire spot is first digging a shallow hole or small crater. This way by going down instead of building upwards I don’t have to waste too much valuable time sourcing out rocks. I usually stick to a smaller fire as well for cooking. They burn hotter and are easier to maintain with little wood on hand. Definitely, if you have a tarp to use as a wind-break you are way ahead of the game. Yes!! I totally forgot to mention that and how important digging a shallow hole is!! Thank you! Remember to keep the principles of “Leave No Trace” in mind. Of course, in a true survival situation, all bets are off . . .
Great tips from this awesome site! Follow while you’re there! Little tongue-in-cheek, but I wrote a bit on ‘campfires’ (sorta.) You may find it amusing. Not to take away from the serious subject of accidental fires. Your post is good information about fire safety.